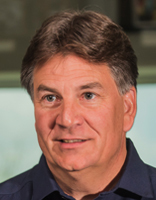 Jim Kacmarcik is the President of Kapco Inc., a family of companies that includes Kapco Metal Stamping, Advanced Coatings, K-Nation Entertainment, SpeedKore, and the Lakeshore Chinooks. Kacmarcik is well known for being a community-minded philanthropist. He founded “Hometown Heroes”, a non-profit organization dedicated to honoring those who have made a difference and transforming the lives of those in need. Jim is also a minority owner of the Milwaukee Bucks. 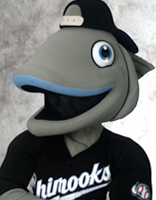 Kacmarcik was the lead donor to Kapco Park, home of the Lakeshore Chinooks. Kacmarcik is the President and majority-owner of the Lakeshore Chinooks and is proud to be involved in bringing affordable, family entertainment and baseball to Southeastern Wisconsin. Bryan Bastar is the Chinooks’ Vice President. The 2019 season will be his first season with the organization. He oversees the team’s day to day operations. Prior to joining the Chinooks, Bryan worked in the sales industry for over twenty years and prior to that, ten years in the food industry. Bryan attended the University of Wisconsin-Whitewater and Concordia University Wisconsin. He played for the Cedarburg Mercs for twenty years and was inducted into the Land O’ Lakes Hall of Fame in 2018. He currently resides in Cedarburg with his wife Amy and their son Garrett. 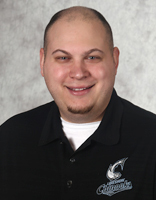 Eric Snodgrass is the Chinooks’ Assistant General Manager after serving as Director of Sales from 2015-2016 and Manager of Sales from 2012 to 2014. The 2019 season will be his eighth season with the organization. Eric assists with the day to day operations including supervising all ticket sales and ticket operations. He oversees the team’s marketing and advertising, digital media, promotions, employment, and the internship program. Snodgrass interned with the Chinooks during the initial planning process. Eric graduated from the University of Wisconsin-Parkside with a degree in Sports Management. Born and raised in Kenosha, Eric currently resides in Milwaukee with his wife Jordan and his daughter Rylie. 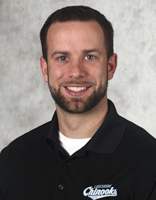 Jacob Nelson is the Chinooks’ Director of Corporate Partnerships & Sales after serving as Manager of Sales from 2015 to 2016 and Assistant Manager of Sales in 2014. The 2019 season will be his eighth with the organization. Jacob oversees team’s sponsorships and corporate partnerships. He also assist with the Chinooks ticket sales and operations focusing on bringing in new clients for group outings and season tickets. 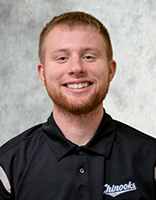 Jacob interned with the Chinooks ticket sales staff in 2012 and returned as a sales associate in 2013. He graduated from the University of Illinois with a B.S and M.S in Recreation, Sport and Tourism. Born and raised in Urbana, IL, Jacob currently resides in Milwaukee. Robert Rothe is the Chinooks’ Operations & Hospitality Manager after serving as an Account Executive in 2018 . The 2019 season will be his third season with the organization. Robert oversees all of the team’s operations, stadium operations, and concessions/hospitality. He will also assist with Kapco Park rentals. Robert interned with the Chinooks concessions and hospitality staff in 2017. He graduated from the University of Wisconsin-Parkside with a degree in Sports Management. Born and raised in Oak Creek, Robert still resides there with his wife Christina and their daughter Charlotte. 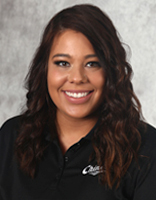 Arie Bazelon is the Chinooks’ Marketing & Media Manager after serving as an Account Executive in 2018. The 2019 season will be her sixth season with the organization. 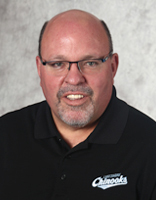 Arie oversees the team’s sponsorship fulfillment, merchandise, and media and video production which includes the live HD broadcast of all Chinooks home games. She also oversees community programs such as Gill’s Reading Challenge, mascot appearances, and donation requests. Arie interned with the Chinooks webcast staff in 2014 before becoming the team’s videoboard producer from 2015-2017. She graduated from Cardinal Stritch University with a degree in Sports Management and Business. Born and raised in Menomonee Falls, Arie currently resides in Milwaukee. Chris Salazar is the Chinooks’ Ticket Operations & Sales Manager after serving as a Sales & Marketing Associate in 2018. The 2019 season will be his third season with the organization. He will oversee the team’s ticket operations and ticket sales including group, season, and single game tickets. He also oversees the sales staff and the stadium box office. Chris interned with the Chinooks marketing and operations staff in 2017. He graduated from the University of Wisconsin-Parkside with a degree in Sports Management. 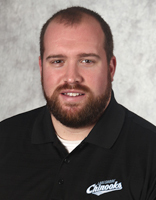 Born and raised in McHenry, IL, Chris currently resides in Saukville with his wife Adriana and their son Rylan. 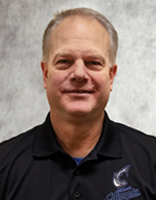 Jon Cain is the Chinooks’ Baseball Operations Manager after serving as Operations Manager from 2013-2016. The 2019 season will be his eighth with the organization. Jon oversees the team’s roster management, baseball operations, and host family program. 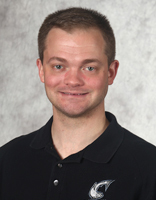 He is also currently the assistant coach for the Concordia University Wisconsin men’s basketball team. He currently resides in Cedarburg with wife Kara and their three kids- Caleb, Gideon, Corrianne. 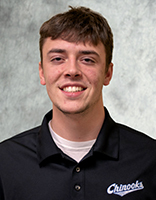 Brett Kirmse is a Chinooks’ Account Executive. The 2019 season will be his second season with the organization. He will assist with the team’s ticket sales including group, season, and single game tickets. Brett interned with the Chinooks marketing and operations staff in 2017. He graduated from Concordia University Wisconsin with a degree in Sports & Entertainment Management. Born and raised in Saukville, Brett still resides there. Ryan Michael is a Chinooks’ Account Executive. The 2019 season will be his first season with the organization. He will assist with the team’s ticket sales including group, season, and single game tickets. Ryan interned with ESPN Milwaukee. He graduated from Wisconsin Lutheran College with a degree in Communication. Born and raised in Racine, Ryan still resides there. Gill is the Chinooks’ Mascot & Sales Ambassador. The 2019 season will be his eighth season with the organization. Gill makes appearances at all Chinooks home games and acts as a brand ambassador at community events throughout southeastern Wisconsin. Gill was introduced to Nook Nation in March of 2012 and celebrates his birthday in early June of each year. Born and raised in Lake Michigan, Gill still resides there.